The Italian opera Aida is considered the “grandest “of Verdi’s many operatic masterpieces. Set in Ancient Egypt it was commissioned to open at Cairo’s Khedivial Opera House in 1871. 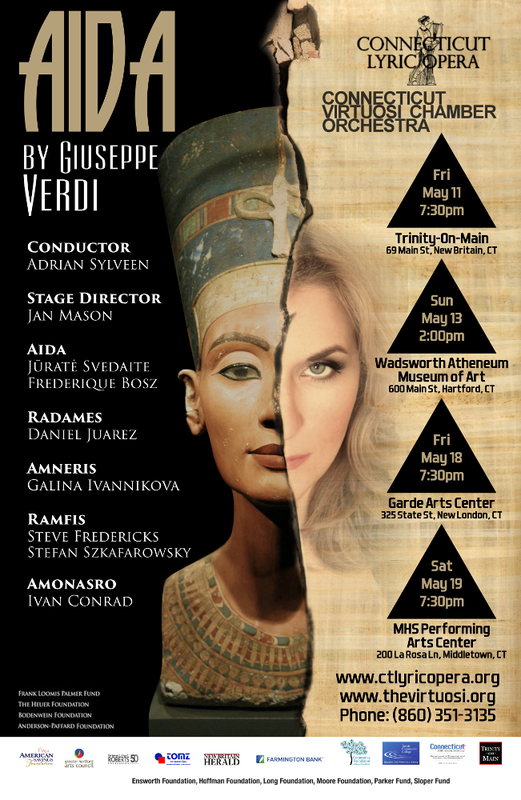 Amid much pageantry, unbelievably beautiful expansive music, and a deep emotional impact Aida was a great success and has continued to be a favorite all-time opera to this day. The story is one of love, jealousy, patriotic duty, and sacrifice. Radames is in love with Aida, who is a slave to Amneris, the Egyptian king’s daughter. She passionately returns his love finding out that Amneris is in love with Radames also! Radames leads the Egyptian army to victory over its Ethiopian enemy only to find out that Aida is secretly the daughter of the Ethiopian king. He and she plan to flee together as the Egyptian king offers Amneris as a victory reward to Radames. Turbulent circumstances follow and bring Aida and Radames to an unforgettable and sublime tomb scene finale.